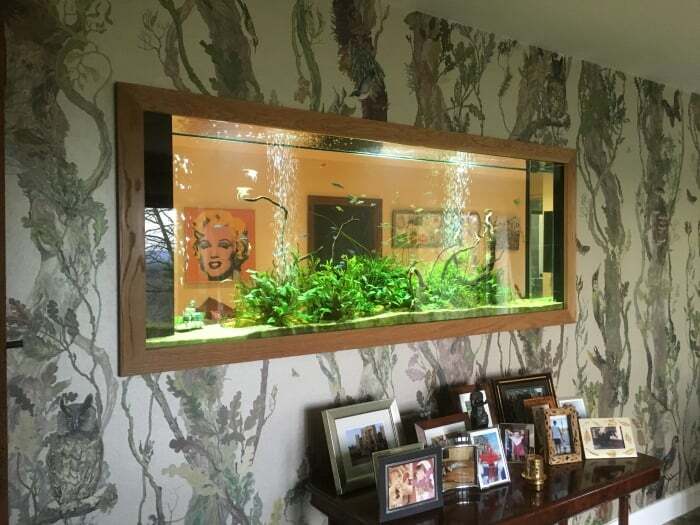 Another bespoke built in tropical freshwater aquarium, this one is over 2 metres long. 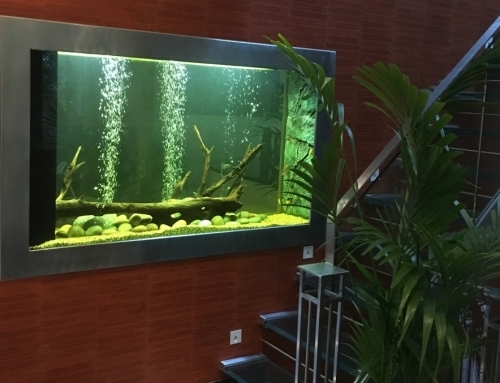 Featuring a display of root wood, and lush planting, this aquarium also contains a large number of shoaling fish which make for a colourful, active display. 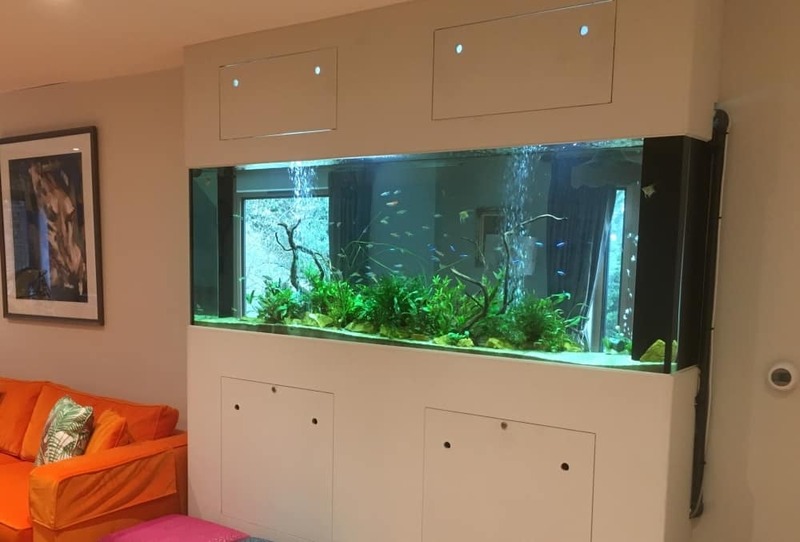 It is visible from both sides within this private home, this is a wonderful feature adds light and movement to both the children’s playroom and the lounge the other side. 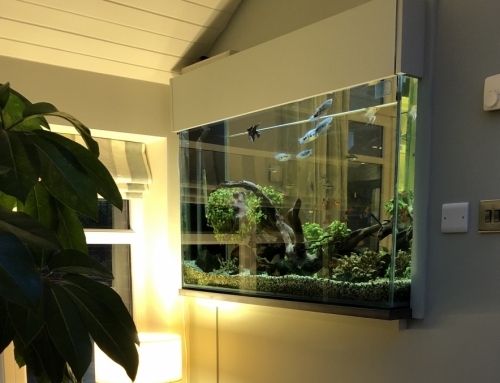 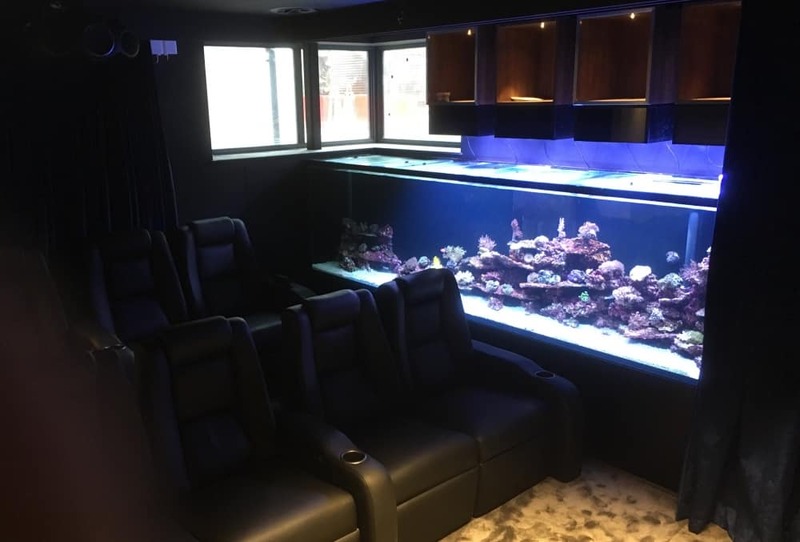 The custom designed filtration system also had to be designed to fit around existing construction features, which meant this aquarium was both challenging but immensely satisfying once completed. 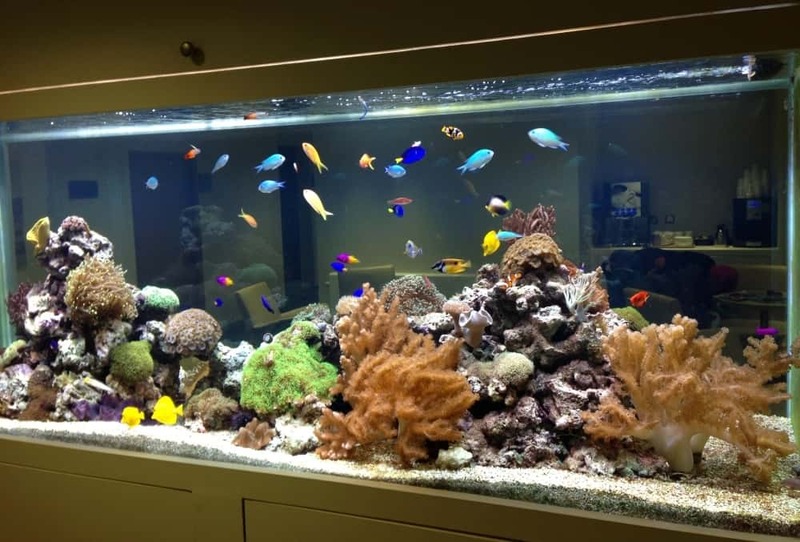 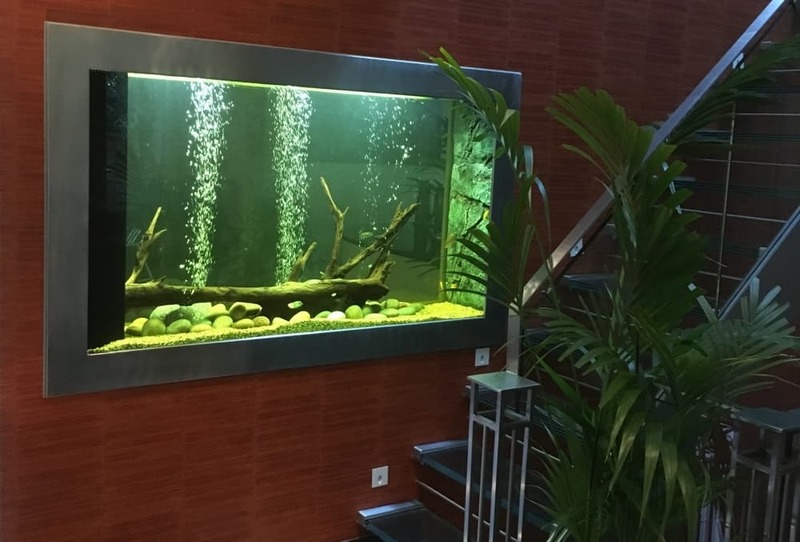 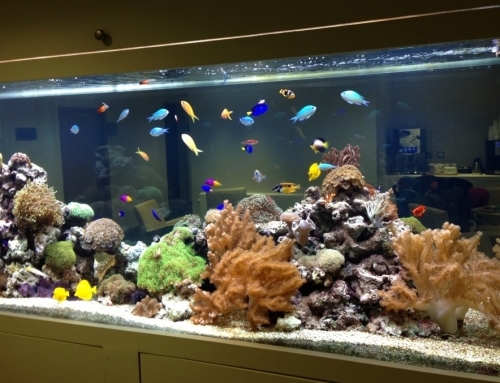 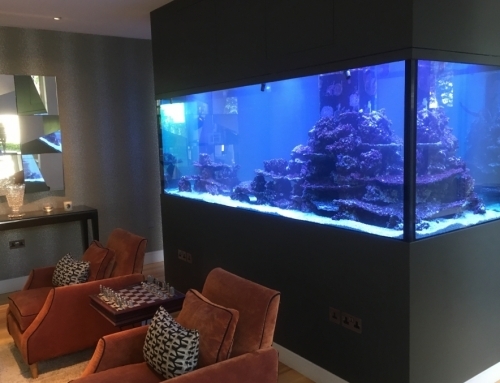 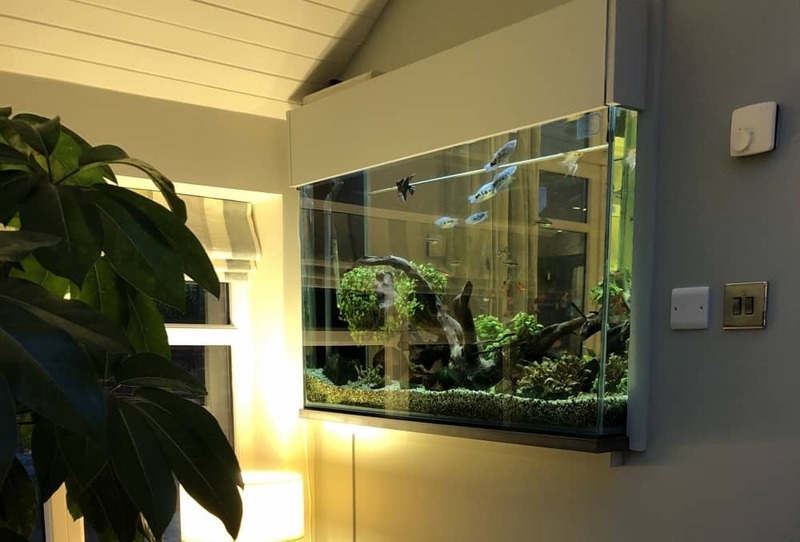 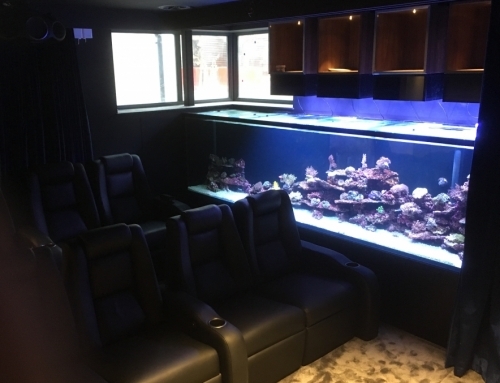 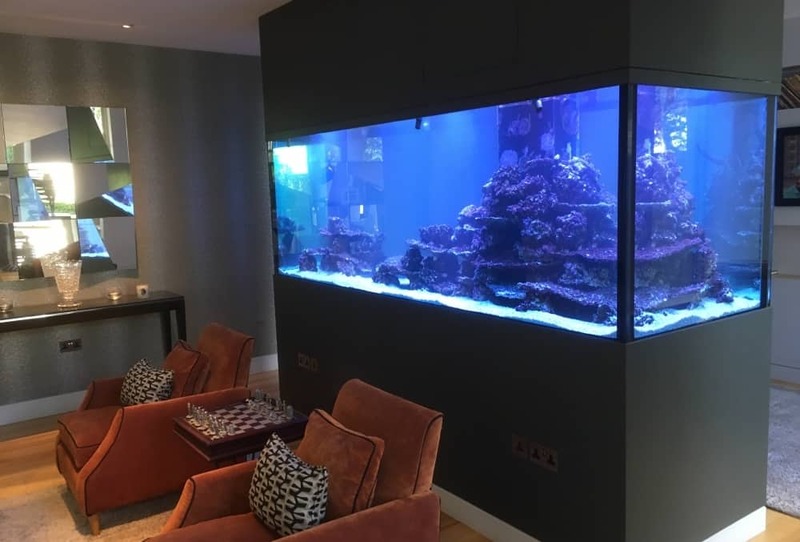 Also maintained by AQUAtechniques, we ensure everything is happy and healthy, allowing the busy clients to just relax and enjoy their aquarium!